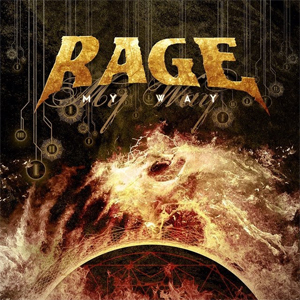 German metal band RAGE has released a 4-track EP, right in time for the start of their tour with HELLOWEEN. "This EP will shorten your waiting time until the release of our new album – the first one since 2012 – which will be in the shops next May…," reveals Peavy Wagner. The My Way EP contains four tracks, two re-recorded from the album Black In Mind, and a brand-new song in English and Spanish versions. Check out the music video for “My Way” on KNAC.COM right HERE. The EP will be available as MCD and 7" vinyl exclusively at the Nuclear Blast Shop and on tour at the merchandising booth.